Eli "Cymmie" Simpson was an influential and controversial British caver and speleologist. He began caving in 1901, and in 1905 helped create the Yorkshire Speleological Association, the first British club formed specifically for the purposes of exploring caves. 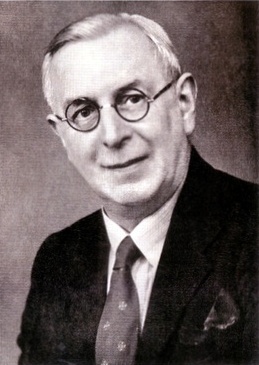 He was a founder member of the British Speleological Association in 1935, and for much of its existence was its Recorder, and responsible for accumulating the most extensive cave archive in Britain. The core of the Simpson Archive consists of 100 large format record books. These are generally 250 pages long and contain a fascinating mixture of maps, surveys, photographs, exploration accounts, newspaper cuttings and published articles, and were compiled by Eli Simpson and other members of the British Speleological Association. The subject matter is generally the exploration of the caves in the Yorkshire Dales and the Peak District. They date from the period of 1920 through to the 1960s and cover the discovery and exploration of many of the major cave systems in these two areas. The record books came to light some years ago as part of the material that had been stored away for years in the BCRA library. The paper material has been moved to the National Geological Repository at British Geological Survey, Keyworth for safekeeping where it may be viewed by prior arrangement. An online hierachical catalogue of the archive may be found on the BGS website, as well as a PDF version of the complete catalogue. The intention is to digitise the entire collection and make it available online, and the Gaping Gill record book was digitised by the BGS to determine the amount of work involved. This may be viewed online at the BCRA Online Archive. Bob McIntosh, Alan Jeffreys, and John Manchip are steadily digitising the rest of the volumes, and the progress so far may be viewed here. We hope you find these and the other record books as fascinating as we do. They are an important part of British caving history. We are attempting to track down the owners of the copyright of the various elements of the record books and archive, as many of the original explorers are now dead. This is not an easy task and if anyone knows the likely owners, we would appreciate your help. Also if anyone is such an owner and has a problem with the publishing on-line of a section of a record book, please let us know and we will withdraw that part.